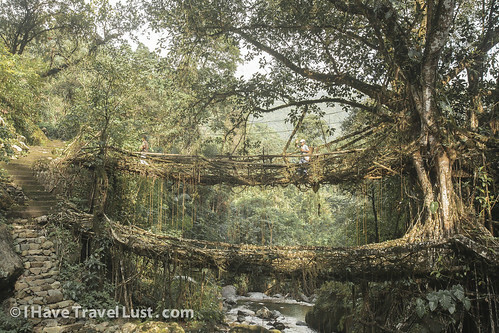 Cherrapunjee, Meghalaya, one of the rainest places in the world also inhabits one of secret locations of the tree bridges. If you watched Lord of the Rings, imagine this is what Tolkien’s land of the Ents would be like. Those tree giant creatures definately be walking among us. Back in the days before climate change, this area experienced a lot of rain almost on a daily basis. 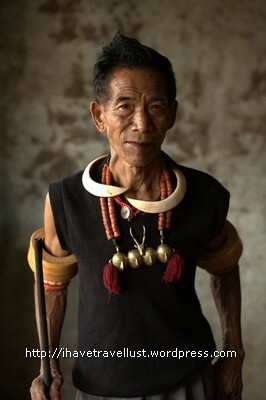 Recent years, the cutting down of jungle forests and coal mining has changed the area. This year 2013 saw a series of droughts and water shortages, an unknown phenomena to Megahalaya. 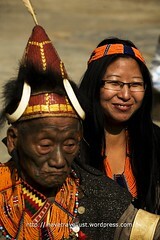 Megahalaya is also famous for its matrilineal culture, call the Khasis, indigenous people. In this state of NorthEast India, women-power rule here, unlike much of the rest of India, known for their recent treatment of women. The Khasis tradition states that all wealth and property goes to the last daughter of the family. The children takes after the woman’s name and belongs to the family. The Khasis women are allowed many husbands and lovers, and there is even a special all female queue in all government offices. You can see why I would want to come visit. This would be my final spot after a long exhaustive tour around North East of India. Since then has become one of my top favorite places to spend time in the world. Cherrapunjee, or to be exact, Nongkriat village is what heaven feels like, clean, pristine, quiet and magical, very tolkienesque. For those into the spiritual side of things, you could almost feel that fairies and elves roam this magical place. A fairly strenuous climb down along with a series of bridge crossings and more climbing up and down stone paved stairs, I finally reached this magical village of Nongkriat surrounded by gorgeous tree bridges that take at least 50 years to grow. 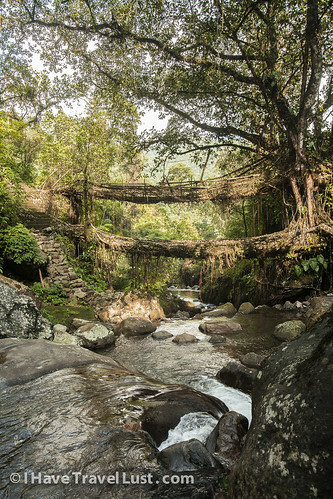 Generations are needed to grow these bridges, some tree bridges have claimed to be 500 years old. I loved staying here at the community village guesthouse, it was a quiet season and practically had the whole area to myself, along with the series of water pools that I was in every day that are just a few minutes away from my guesthouse. 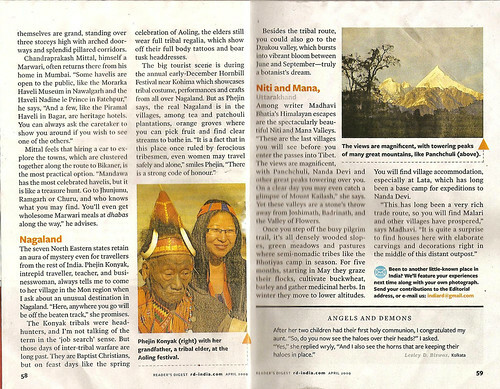 The Khasis people of this area lived closely with nature, their intricate beliefs and their communal with nature can be a great anthropical study. They had the great foresight and patience to grow bridges with trees which are self renewing, as the tree grows and ages, the bridges strengthen and grows along with it. The locals saw trees are spirit beings and cutting them down for resources were forbidden, rituals and prayers were needed in order to even cut down a tree. Their relationship with the trees were deep and often incorporated into their spiritual beliefs and practise. Prayers were chanted should they need to harvest from certain trees, should a plant or a tree be harmed, their future generations might be harmed. Over time, gradually the Khasis had lost the art of bridge growing when the government built steel bridges across the many rivers and streams surrounding this area. With the introduction of Christianity, many of their relationships with nature were lost, deemed too paganistic for the modern world. 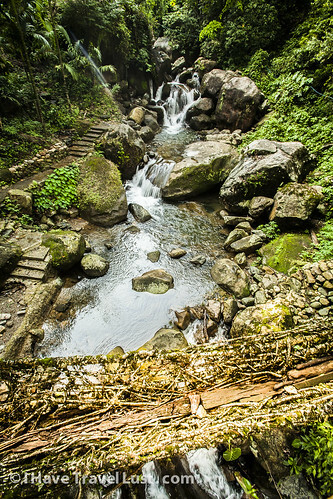 Many old living bridges were abandoned and were in disrepair. 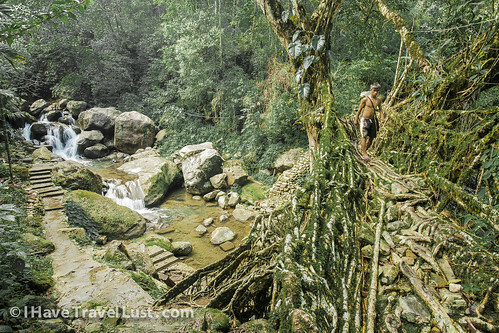 Most tourists would spend only a day walking around the village, but I would recommend spending a few days here, doing little treks around the many sub-villages to discover many other root bridges. 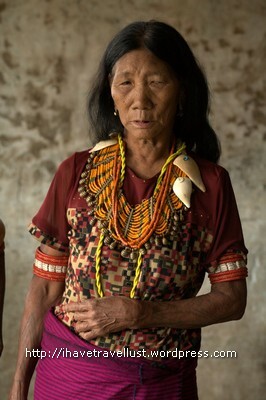 The local Khasis are great gentle spirits who would be glad share their stories on their ancestors and talk about their knowledge on the root bridges. Come during the harvest season of April and you will be celebrating the Thanksgiving festival with them. A few years back, a Japanese documentary crew visited the area and along with some tourist interest few years back, the locals became interested in their old traditions and have relearnt the ways of the ancients on growing bridges and have started passing down their traditions to the younger generation. My images cannot do justice to this magical area, maybe this video would. The famous double decker bridge in Cherrapunjee. This is the only one that still exists in working condition. The popular place to visit for many curious tourists. The newer bridges in process of being grown. It would take at least 50 – 100 years before a bridge is full developed. 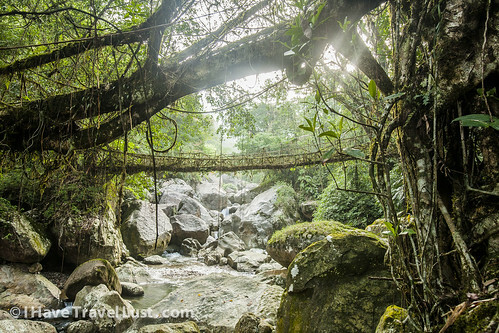 It takes 2 to 3 generations to tend to these bridges, frequently needing to shape and develop the vines and branches. 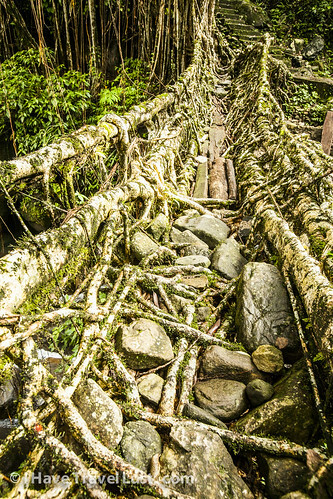 Bridges do not grow on their own, careful tending needed on a regular basis! That’s me on the first day after a long hike down to this magical realm, could not wait dashing into the rock pools after a sweaty climb down. 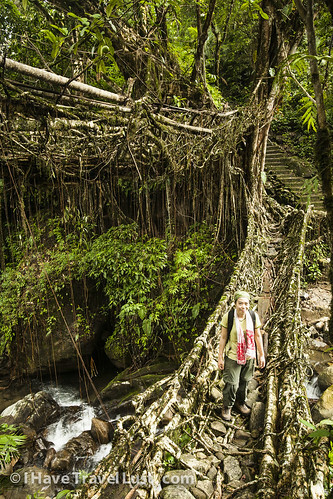 Stepping onto the bridges require some careful concentration, especially on a rainy day, mossed covered stones can be quite slippery. View from the top bridge! Can be scary for those with height phobias, including me! The famous double decker bridge in Cherrapunjee. This is the only one that still exists. Great rockpools to just relax from all that heat! Finally the Indian government lifted the restricted access permit for North East states of Nagaland, Manipur and Mizoram. Getting to these places use to be such a pain as tourist permits to these places involve hideous red tapes or irritating tourist companies that charges you incredible amounts for the permit fee. This is with the exception of Tripura and Arunachal Pradesh which they still consider as sensitive border areas to Bangladesh and China. If you ever dream of visiting these elusive and mostly difficult places, I strongly suggest to abandon all your other travel plans and race yourself to these states before the other tourists erode the whole place or even much worse, the ever erratic Indian government decides change its mind. 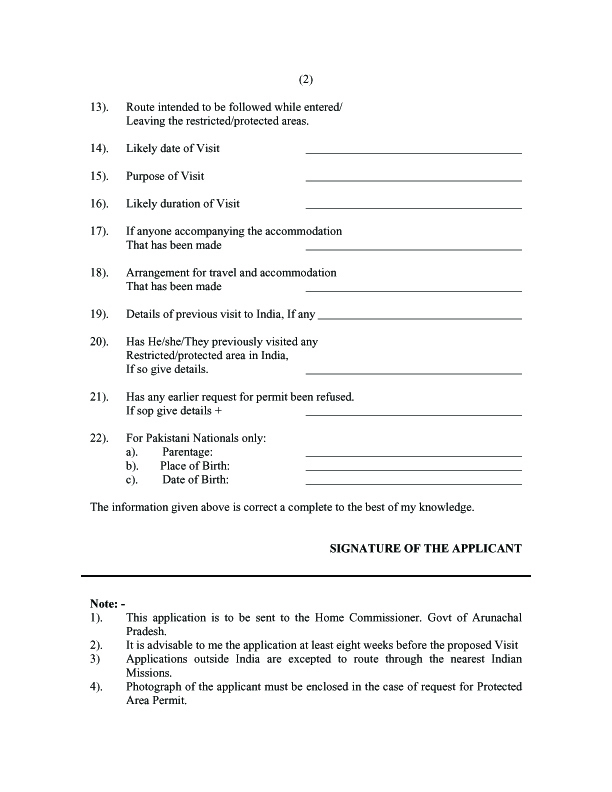 The Indian govt previously permitted independent travellers to Arunachal Pradesh (2 to a group instead of 4) without a state approved guide and had changed it due to the politicking of the Arunachal tourist association. To independent travellers : Rest assured this will happen to Nagaland, Mizoram and Manipur that erratic changes will be implemented, so visit these places as soon as possible. 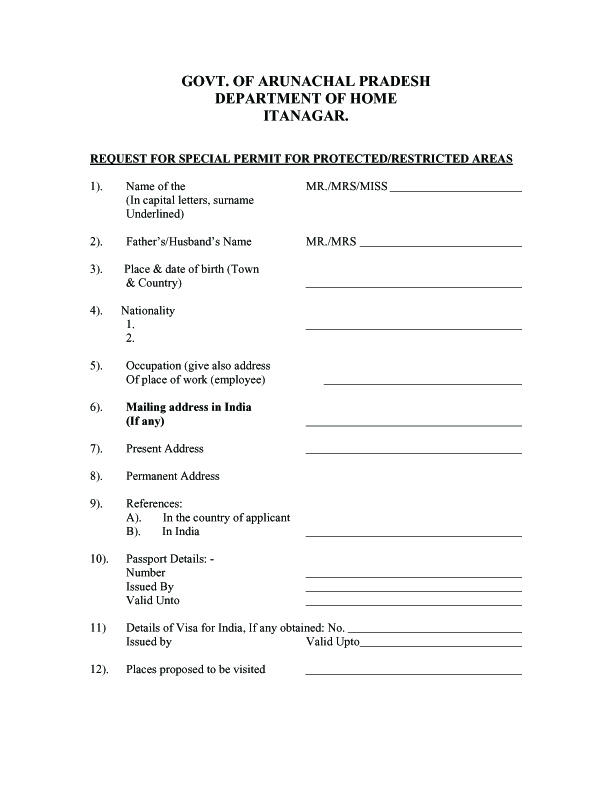 In case you are visiting these places, be sure to print out all the various newspaper articles on the permits issues and be prepared to show them to the border guards as they would surely not be updated on such news. This comes from experience. I dreamt about Nagaland after I saw it on the map one day. Obsessed about the place, it took me a few years before I finally visited this strip of land between Burma and NorthEast India. This event was organised by Rickshaw Run, a company which call themselves The Adventurist, they organise fund raising events like this for the chosen charity of that season. The Meghalaya Tourism commission had sponsored their adventure and off they went exploring Meghalaya all in the name of their chosen charity! How cool is that, raise money for your favorite charity by driving your very own auto-rickshaw all over these exotic locales of India! The roads here are mean and nasty, and you probably spend more time pushing your rickshaw uphill then sitting in it! Am pretty much tempted to get into this Rickshaw Run in Spring 2010! Rickshaw run here I come? survived Cyclone Aila in Calcutta, now in Delhi for the weekend, heading up to Dharamsala, Himachal Pradesh, maybe to Spiti valley then Lakdah. Pakistan is out ftm, Iran is definately on after Ramadan. No internet access from monday onwards for awhile. Kinda homesick for the very first time. is in Calcutta for a few days, doing some street photography and eating as much bengali street food as my tiny tummy can handle. Incredibly hot humid weather 40oC but the monsoon has come early and giving some relief. Not good for street photography thought.